Halloween is a yearly celebration observed in a number of countries on 31 October, the eve of the Western Christian feast of All Hallows’ Day. It initiates the triduum of Allhallowtide, the time in the liturgical year dedicated to remembering the dead, including saints (hallows), martyrs, and all the faithful departed believers. Here you can find our huge collection of spooky and fun Halloween games. These amazing, not-too-scary Halloween games will help you host the best Halloween party ever! 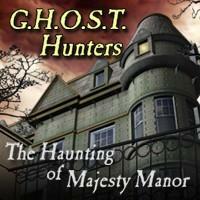 Search for clues and solve a haunted mystery! Experience an entire Vampire Saga!